IT'S JOHN LENNON'S BIRTHDAY! Celebrate with us and get 15% off your order at www.souldier.us! 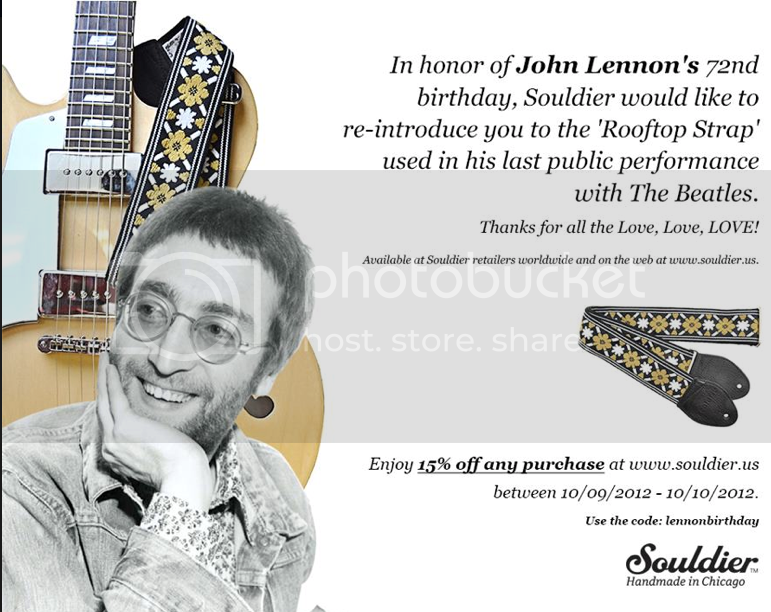 Use the discount code "lennonbirthday". JOHN LENNON WASN'T LEFT-HANDED THOUGH !!! THAT WAS MCCARTNEY.... NOOBS !! !